The iconic tune from 1939's The Wizard of Oz-is there a person on earth who can't hum the opening phrase? 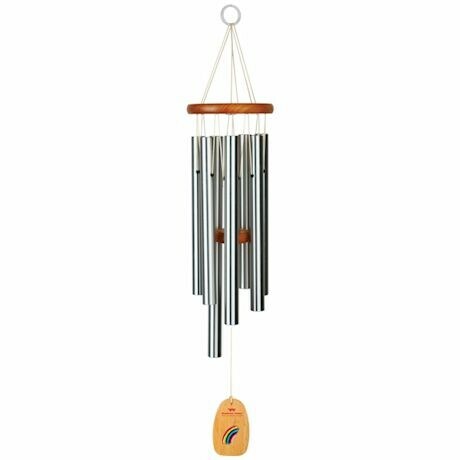 The seven tubes of this hanging chime are tuned to that beautiful melody, so you'll catch bits of the tune in the air once you hang this on a patio or other protected outdoor space. 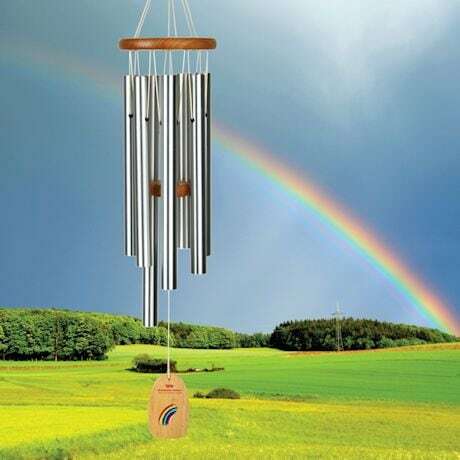 Cherry finish ash wood with 7 silver-finish aluminum tubes; windcatcher has a rainbow silkscreened onto it. 27"L.